David Fox's immaculate skills and wealth of experience will guarantee success at your corporate event. "You were awesome! And I really appreciated the way you plugged the Quickswitch event." - Shelly Keen, Capital One. 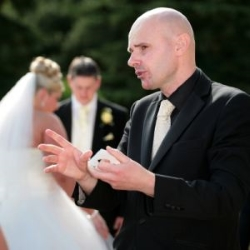 With many years of experience working in a multitude of contexts, Magic Circle Magician David Fox is the exceptional choice for your special corporate event in the UK or beyond. From product launches to promotions, David will customise his package and performance to suit your particular occasion, brand and the profile of your guests. A lifelong passion for the art of magic has allowed David to work with many of the top companies and develop a wealth of invaluable experience. Over a decade ago David used his magical skills in an educational context whilst teaching business English to the employees of BNP Paribas and Axia in Luxembourg, and working at the head offices of global leaders in Paris. Drawing on his experiences in the educational, corporate and entertainment sectors has assisted him in developing into one of the most sought after professional magicians on the contemporary scene. In 2012 David Fox was invited to entertain dignitaries and celebrities at HRH Queen Elizabeth II's Diamond Jubilee celebrations in London, and he was most recently asked to entertain guests at the one hundredth anniversary of Westminster Abbey's Choral School. As well as functioning on a corporate basis, David Fox also frequently amazes at weddings and parties throughout the UK. He was voted 'The Most Popular Magician' in the Wedding Industry Experts poll of 2014. This was a resounding endorsement of the exceptional level of his service. 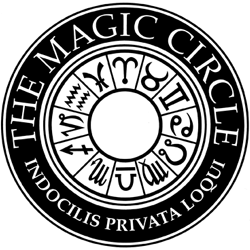 As a member of the prestigious Magic Circle and Equity, David Fox has full public liability insurance for all events. "The course was excellent and fitted in well with the day's schedule. It left everyone in a positive frame of mind which is exactly what we wanted." - Greggs the bakers, Catthorpe Manor, Leicestershire. Drawing on his immense level of experience in the corporate, teaching and entertainment sectors, David Fox has created an exceptional course for team-building and training days. The course is engaging, stimulating and energising for participants of all backgrounds. The group is invited to explore the incredible power of the art of magic and how it can be utilised in a range of contexts; from sales and marketing, to developing positive relationships with colleagues and clients. Participants get ample opportunities to try out some magic for themselves in a very supportive atmosphere under the tutelage of a master magician. 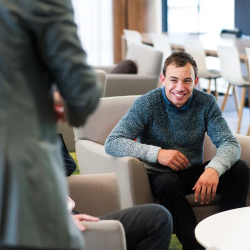 Find out how YOU can be magic and contact David Fox today about the customised and cost-effective courses he can provide for your next team-building event.